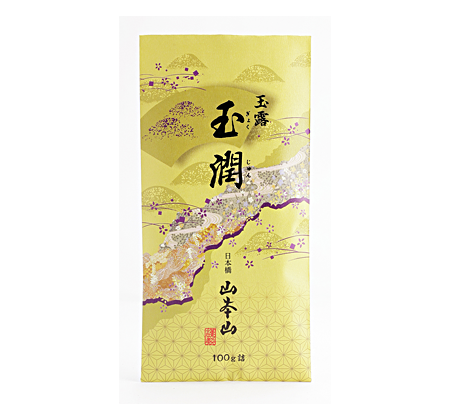 Thayne-san, today we’ll be visiting a very old tea and seaweed nori shop called Yamamotoyama. It has a long history of 325 years. Yamamoto: Hello, Thayne-san. I’m Kaichiro Yamamoto. Good afternoon, it’s a pleasure to meet you. I’ve heard that your shop has been in business for a very long time. May I ask what generation you are? Yamamoto: I’m the tenth generation. It must have taken an incredible amount of work to keep your shop in business for ten generations! After graduating from school, did you train at some other company or study management somewhere before joining the family company? No, I actually joined the company immediately after university. I didn’t think I needed to join a different company first. I thought I could pick things up as necessary along the way and just learn naturally. I thought that the feeling of excitement flowing through my veins was enough. If I could know what my potential was, if I could find that, that would be my answer. Impressive words! I’d expect nothing less from the owner of a company with such a long history. 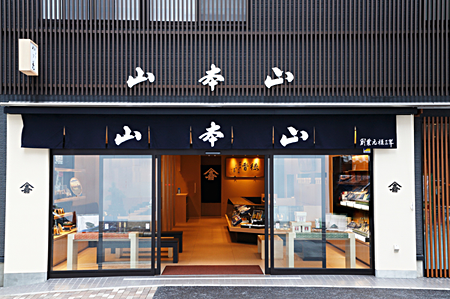 Yamamoto: The first generation owner, Kahei Yamamoto, founded the shop in 1690 and sold tea and paper. 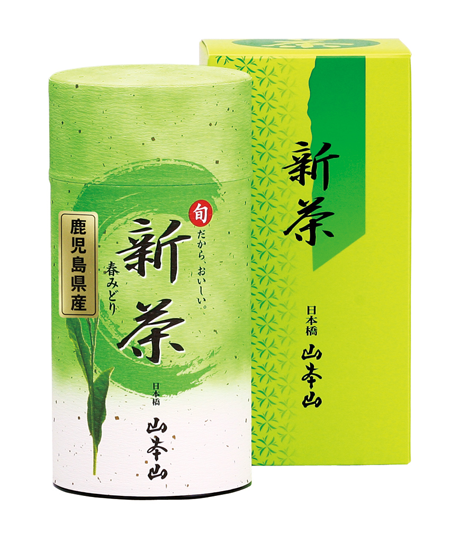 Forty-eight years later, he found out about a green tea made by Soshichiro Nagatani of the old Yamashiro Province, and decided to sell it in his shop. At the time, tea was generally brown in color, and no one bought green-colored tea. 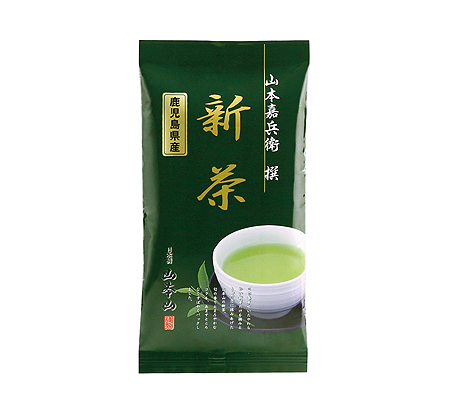 Nevertheless, Kahei fell in love with the tea’s color and refined taste, and marketed it as “the best in the world.” This was the original form of the tea we now call sencha, that everyone drinks these days. I guess the shop founder had a lot of pioneering spirit! Yamamoto: That’s right, and that spirit has been passed down for generations. 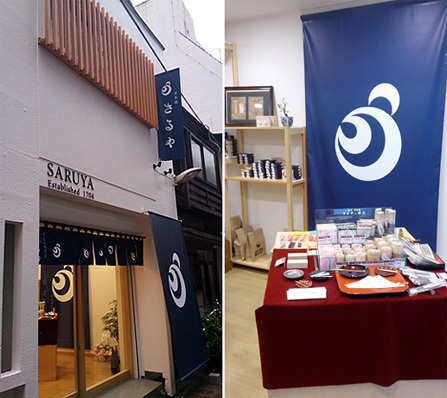 The sixth generation owner invented gyokuro, and the ninth, my father, started selling nori in addition to tea soon after the war ended. In the tea industry, he was the first to try that. Showing a bright toothy smile is charming in any age and culture, I’m sure. Yamamoto: Nori. 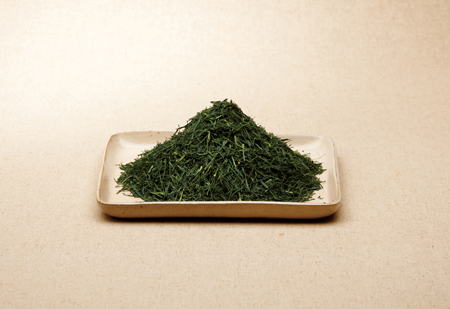 Tea comprises about 30 percent of our sales, while nori makes up the other 70 percent. But if I were forced to choose only one or the other, I would choose to sell tea. I believe the future we can change is more important than the past we can’t. Nevertheless, the future can be found by looking at the past. I think the ability to connect the past with the future will result in lasting prosperity. I’m not the only one who feels this way. All the members of the Toto Norenkai association know that history is continuous change, and it’s these people who have a keen ability to understand the changes of the times that have been able to adapt to change and stay in business for a long time. What about the flavors of your tea? Have they changed? Yamamoto: Objectively speaking, I think the flavors have changed quite a bit over the years. However, we have never changed our focus on selling great-tasting tea. All the same, people have different tastes. Even the same person will taste tea differently at night then they did in the morning. So we’ve always sold tea that we think is good, and that’s enough. Every morning my father, who’s our chairperson, drinks our tea, and says, “Oishii” (Delicious). That’s how our business day starts. I think this is really important to us. As a matter of fact I love sencha, so I’m always thinking about how to enjoy it even more. Do you have any tips? Sencha tastes best when you use water from the area where the tea plants were grown. 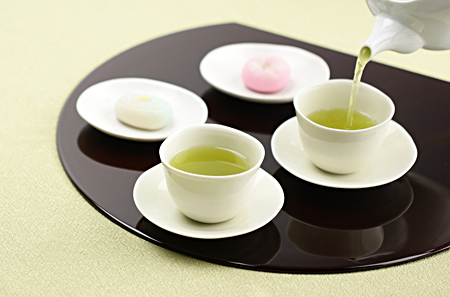 Sencha is made by steaming the tea leaves, so you can think of it as returning the leaves to the same water. Like food, it tastes delicious when made by a professional, but it tastes even better when someone you like makes it for you. I think that’s important to keep in mind. 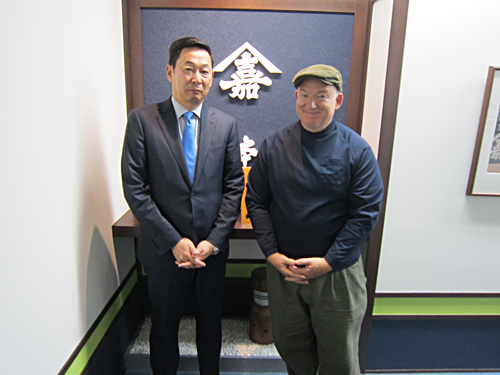 Yamamoto: When we serve tea, we always say to the customer, “Enjoy your tea.” In those words we try to convey a couple different messages, both “Thank you for coming,” and “Relax for a while.” This is part of our “spirit of omotenashi” (Japanese hospitality). Tea is part of Japanese culture, and we want to share that culture. We sell tea in the United States as well, so when you go home I encourage you to drink our sencha there, too. Some of our tea is grown and produced on tea plantations in Sao Paulo in Brazil. Yamamoto: We established a company in Sao Paolo in 1970, and we currently own tea plantations with an area equivalent to 45 Tokyo Domes. The population of Japan is roughly 100 million, but America is a much larger market. So five years later, in 1975, we established Yamamotoyama of America in Los Angeles, and that’s been our base of operations for marketing Japanese tea and our spirit of omotenashi to people all over the world for the last 40 years. I had no idea you’ve been a global company for so long. Yamamoto: That’s right. In fact, the plan is for my daughter to take over the business from me. She graduated from an American university and is working for Yamamotoyama of America. If she marries an American and has a child there, that child raised in America, my grandchild, may grow up to enjoy tea. If that happens then maybe we will start to become a truly global company. The next generation will take care of the things I’m not able to accomplish before I retire. That’s how I feel now. It was really interesting to hear about your business. I think we’ll head on over to your Nihonbashi shop now. Yamamoto: Please do. And please enjoy your tea!